Remember that there is no Cub meeting tonight (22/4/13) and that we have a joint meeting with Windlesham Cubs tomorrow instead. Usual times, but start and finish at the Ranger station at Lightwater Country Park. 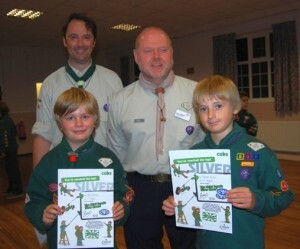 Well done to Thomas Perkin and Marek Nahajski who have both been awarded their Silver Chief Scout’s Award by ADC Cubs, Paul Shepard. Thomas will be moving up to Scouts soon and gets to wear the Silver Award on his Scout uniform. 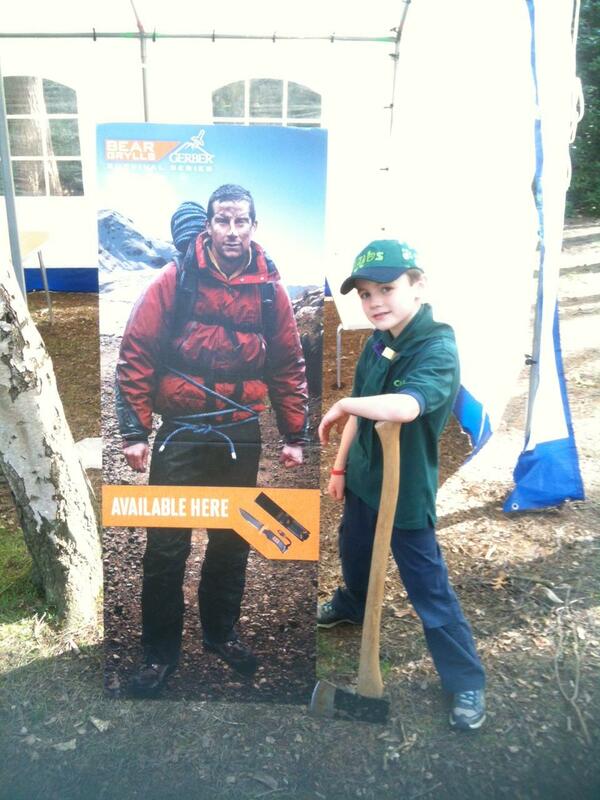 Marek has been a Cub for less than a year and completed his award in July (aged 8). Is he the youngest to get the award so far in 1st Bagshot?